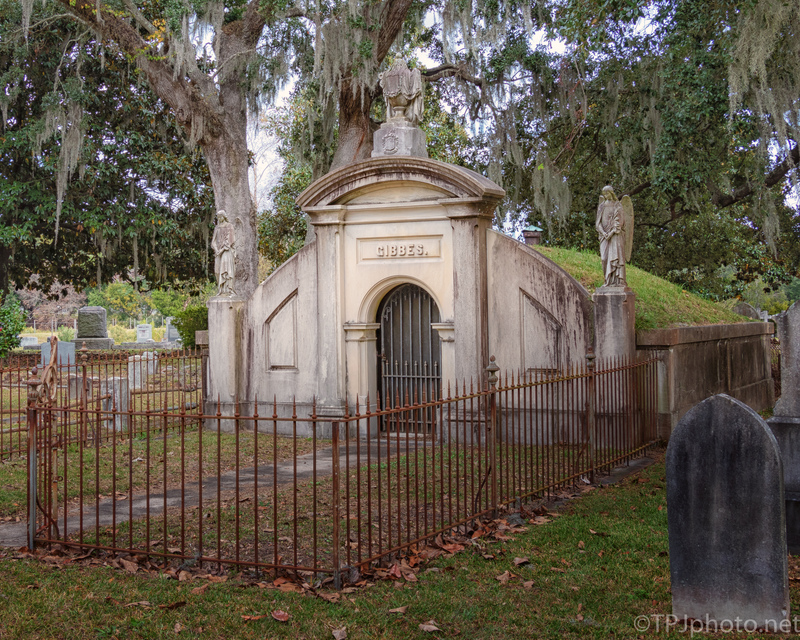 This mausoleum, the Gibbes family, has an unusual earthen roof. 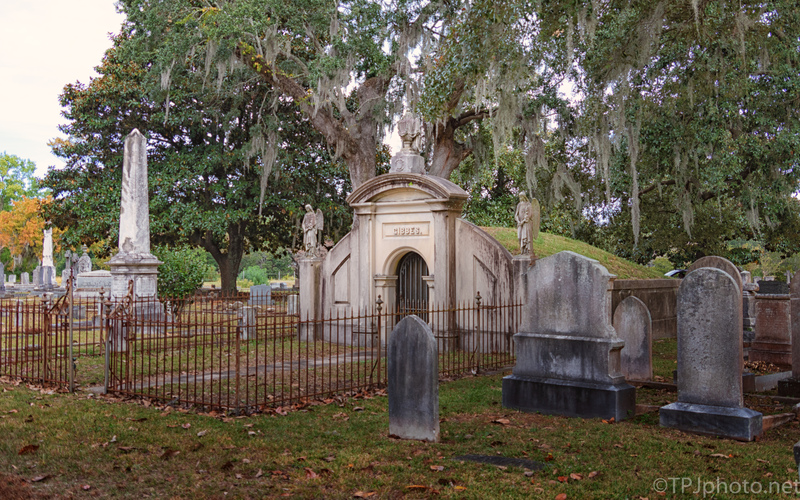 James Shoolbred Gibbes is buried here. He died in 1888 but other family members lie here also. Before his death he had the angel statues carved in Italy. The plans for this building are in the US Library Of Congress and it is registered with the National Historic Registry. 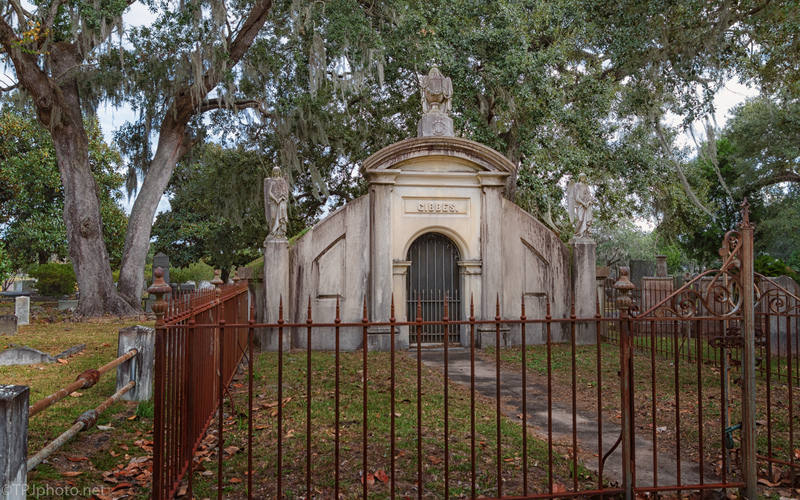 James Shoolbred Gibbes, donated $100,000 to the Carolina Arts Association upon his death in 1888 for the “erection of a suitable building for the exhibitions of paintings.” The donation was the start of the well known Gibbes Art Museum in Charleston, South Carolina.